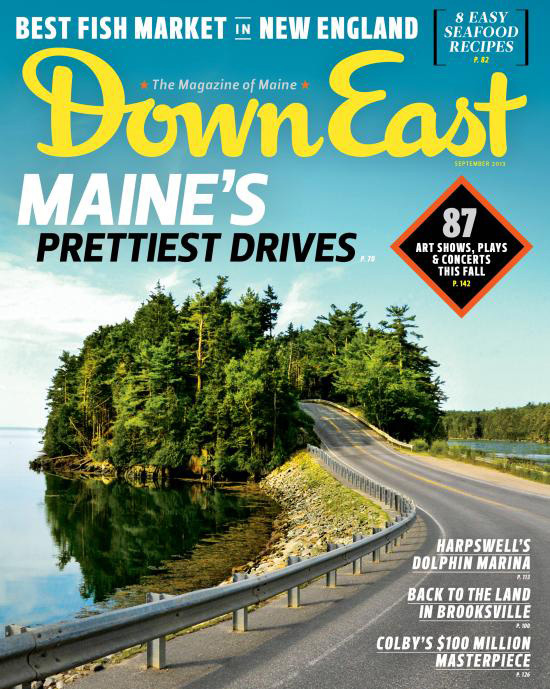 Down East: The Magazine of Maine drew criticism Wednesday for making a pretty drive even prettier with the help of photo editing software. 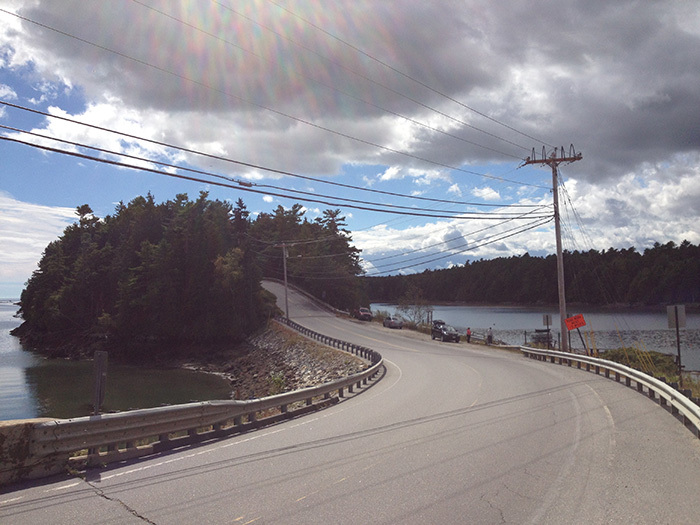 The monthly magazine used the software to remove power lines and a utility pole from a photo for the cover of its September issue, featuring “Maine’s Prettiest Drives.” The cover shows a stretch of Route 24 near Orr’s Island. The cover of the September issue of Down East magazine shows the scenic drive over the bridge to Orr’s Island – without utility wires. Doug Warren's photo of the scenic drive to Orr’s Island includes the utility wires. The editing caught the attention of a reader and journalist, Doug Warren, who is a part-time resident of Orr’s Island. Warren contacted the magazine about its too-good-to-be-real photo and slammed it for misrepresenting the scenic drive over the bridge to Orr’s Island. Warren has a journalism background that includes long stints at the Miami Herald, The Boston Globe and the Portland Press Herald. Warren sent his own photograph of the scene – complete with the offending power lines and utility poles – along with Down East’s altered photo and the email exchange he had with Hilton to Jim Romenesko, a media blogger who posted the item Wednesday on his widely read blog, www.jimromenesko.com. Paul Doiron, Down East’s editor in chief, said the magazine infrequently alters photographs, which he said is standard in the industry. Any reader would be hard-pressed to find a magazine that doesn’t enhance photographs, he said. 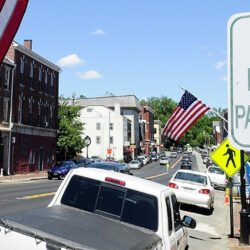 Portland magazine and Maine magazine did not return calls for comment Wednesday. Kelly McBride, an expert on media ethics at the Poynter Institute in Florida, said any publication that purports to offer journalism should not alter a photograph. “It depends on if they consider themselves to be journalists. If you call what you do ‘news,’ you would not alter a photograph unless there was a very clear label that it was a photo illustration. A news photograph is meant to represent the truth,” McBride said. Two famous examples of magazines altering photographs drew broad criticism, McBride said. In one case, National Geographic moved the pyramids in Egypt so they fit better on the page. In another, Time magazine darkened O.J. Simpson’s face. Warren said he thinks that Down East, whose September issue hit newsstands late last month, should include a note to readers to make it clear that it is presenting the cover as a “photo illustration,” rather than a photograph. He asked the magazine to consider running his emailed letter to Hilton and his real photo as a letter to the editor, or putting it on the Down East website so readers can see the difference between the images. The magazine is considering it, Warren said. 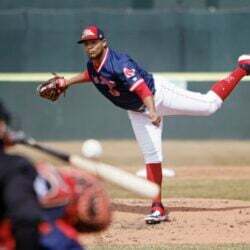 He said he was further mystified to see that the drive to Orr’s Island wasn’t even chosen by Down East as one of the five prettiest drives in Maine.